Advanced composites and thermosets have revolutionized wind turbine, aircraft, aerospace vehicle, and automotive development. But companies using these materials often don’t understand how the materials cure during manufacturing. Only dielectric cure monitoring, also known as dielectric analysis (DEA), offers critical insights into composite and thermoset degree of cure in real time, during processing. This assures users of the integrity of their processes and their materials—and of the reliability of their finished products. Read on for answers to frequently asked questions about dielectric cure monitoring. What is dielectric cure monitoring (DEA)? • Dielectric cure monitoring is a thermal analysis technique for measuring cure state. It tracks the cure state of a material by measuring the electrical properties of permittivity and resistivity. • Ion viscosity (resisitivity) is proportional to mechanical viscosity for significant portions of cure. Ion viscosity tracks cure state throughout cure, even after ion viscosity deviates from mechanical viscosity. See Figure 1. 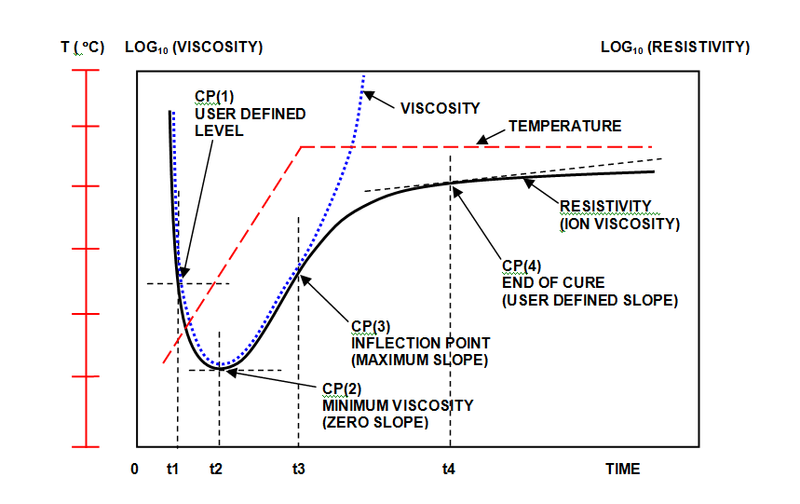 Figure 1: Comparison of resistivity (ion viscosity) and mechanical viscosity during cure. What are the benefits of dielectric cure monitoring? • Dielectric cure monitoring provides insight into cure state. • DEA can determine the effects of time, temperature and other process parameters. • Dielectric cure monitoring saves time, effort and expense. • Sensors are rugged and can be used in presses, molds or ovens. • Samples can be applied to sensors in any form. • The same measurements can be used in R&D, QA/QC and manufacturing. ﻿What types of companies can benefit from dielectric cure monitoring? Which applications can use dielectric cure monitoring? What materials can be studied with dielectric cure monitoring? Who is Lambient Technologies LLC? Lambient Technologies LLC, based in Cambridge, Massachusetts, develops instruments, sensors and software for monitoring the dielectric properties of curing polymers. These properties provide insight into the chemistry, formulation, reaction rate, viscosity and cure state of epoxies, polystyrenes,polyurethanes, silicones, SMC, BMC and other thermoset materials. Dielectric cure monitoring has wide application in research and development, quality assurance/quality control, and manufacturing. Products from Lambient Technologies are designed for flexibility and ease of use – together they form an integrated system for studying polymers and optimizing manufacturing processes. Lambient Technologies was founded in 2008 by members of the team that developed products commercialized by Micromet Instruments; a Massachusetts Institute of Technology spinoff that pioneered the technology of dielectric cure monitoring in the 1980s. Since then, members of our team have improved upon the product line at GeoCenters, Metrissa/Holometrix, and Netzsch Instruments, giving us over 30 years experience in the field.